Google and Apple are in a constant battle to win customers by delivering multi-channel services and products. The latest battle currently being fought is to become the best mobile payment platform. This article helps you understand which platform – Google or Apple would be the best fit for you. Mobile devices from Google & Apple have empowered their user base by simplifying the process of purchase through payment technologies like NFC and contact less payment terminals. NFC technology allows users to make a payment from their respective mobile devices by simply tapping their phone near a payment terminal, without the use of a credit or debit cards for making a transaction. Currently, to use this technology from Google & Apple platforms, users first need to register their credit card information on Google Wallet and Apple Pay. This information is stored on the respective platform’s server and users are requested to authenticate themselves before performing any financial transaction. Google Wallet has taken the first mover advantage in the battle and has already received huge public acceptance and support. Apple’s mobile payment system, on the other hand, being the late entrant is trying to get a foothold in the market and may take some time to be accepted by the users. A major reason for Google Wallet’s increased usage is its vast ecosystem of android devices. In addition many dealers have started offering sales terminals that supports contact less payments. How Easy It Is To Setup Mobile Payment? A user can easily add a card to its Google Wallet or Apple Pay by following any of these steps. For Google Wallet, the user can either sign in through its website, use the setting menu from the mobile app or log in through the bank website. The easiest way to setup Apple Pay is associating it with the user’s iTunes account where the credit or debit cards are already added. Users can also take a photo of their card or can enter the card information manually to add a new card. Security is the most crucial part for any online transaction. Both Google Wallet and Apple Pay do not disclose the credit card information of customers with the merchants, granting a higher level of security. To process the payment, merchants are given a one-time code to process the customer transaction. Apple uses touch ID authentication process for user identification, and is more secure and reliable than Google’s Pin authentication feature. Apple stores the payment details on the iPhone and Google maintains on its own server in the cloud. 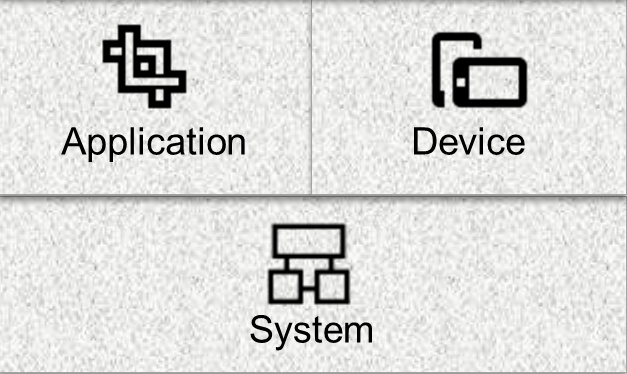 Thus, both the platforms deliver enhanced security to its users. Which Mobile Devices Are Currently Supported? Google Wallet currently supports a wide range of android devices as all latest android devices have built in NFC hardware, but Apple Pay only works on iPhone 6 and iPhone 6 Plus. iPhones older than iPhone 6 do not have a build in NFC hardware, but can be accessed through Apple Watch. It also supports iPad Air 2 & iPad Mini 3. In sheer numbers Google is in lead as it supports any android device with 4.4 KitKat or higher version to deliver mobile payment service. 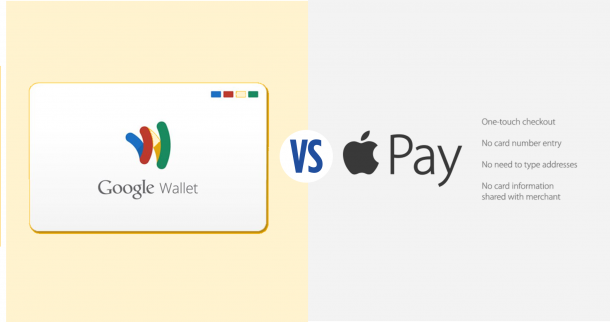 Are Users Accepting Google Wallet and Apple Pay? Users are happier with Apple Pay, as it is more convenient to authenticate their identity using the Touch ID fingerprint sensor, without unlocking their phone. Whereas Google Wallet requires users to first unlock their devices and then process the payment by entering a 4-digit PIN for authenticating user identity. Thus, users find Apple Pay a more convenient and faster payment platform as compared to Google Wallet. Conclusion – Which Is a Better Mobile Payment? The answer to this question is not that straightforward. Both the platforms have their respective strength and weaknesses. Google has a wider reach with its large user-base whereas Apple is one up with its ease of use and security feature. Thus, it depends on the users to choose the better suited option of the two. Although your options don’t end here. There are other players in the market that might have features more ideally suited for your business need. Here is one such post with more payment options. Get a Free ConsultationTalk to our expert today to help setup the best mobile payment option for your business.